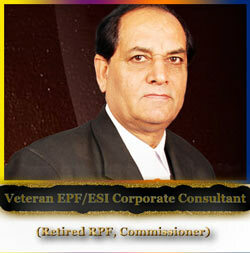 Expert EPF/ESI Corporate Consultancy from a Leading Expert in Labour Laws! Are you looking consultancy in matters related to labour laws, EPF, ESI etc? Dr. Chandok and his expert team is providing legal assistance to clients like you (establishments/employers/employees) covered under the provisions of Employee's Provident Fund And Misc. Provisions Act 1952. Do you know you can also Consult a Lawyer on Marriage/Divorce issues with us? "Divorce Procedure & Laws for Hindus in India"
Divorce is a legal procedure whereby the married couple decides to separate and break all the vows that were taken during the sacred ceremony of a marriage. In India, divorce is still a taboo and is looked upon as a social stigma especially for women who take the step for divorce. Many a times, Hindu women in India resort to suicide or compromise in their marital life rather than opting divorce. The procedure for divorce in India for Hindus is a long process, and somewhat tedious, given the numerous loop holes in the legal enactments. Mainly, the Hindu Marriage Act is framed to address the divorce related issues relating to the Hindu community in India. First and foremost, the couple is usually advised to keep the marriage and if things don't work out, then they go for divorce. Many a times, divorce in Hindu communities is looked upon as an empowerment to women to come out of the domestic abuse. In a recent article on yahoo.com, the writer mentions that the increasing rate of Indian divorces is the only measuring scale for women empowerment in India. Though this statement was widely contested and criticized, Hindu divorce is definitely a way out for women who are unable to cope with the pressures of domestic problems that may or may be restricted to the evils of dowry. By and large, divorce is looked upon as a tool in the hands of women, but even men do resort to divorce for various reasons.